I’m looking at the way humans discern and create patterns. We create so many patterns. We generally spend considerable energy looking for human thought patterns that provide guidance for our lives rather than looking for patterns in nature which we can better trust. We too often search for patterns in human thought and try to align ourselves to them. Patterns of human thought require careful consideration, but they should not be quickly considered an optimum source of patterns for personal guidance. The power of our imaginations is huge. We have the capacity to think of things and imagine things that are beyond our ability to truth-test. We tend to believe things too readily, things that are not true. We certainly have the power to create patterns. Those patterns that we create can often run against observable natural patterns and against testable truth. If it were not climbing me it would have no height at all. There was more that I could not say. I loved you but you could not understand me. You loved me but you could not understand. This seems to happen often. If you cannot listen and hear the whole idea. You may die of thirst in the presence of a big glass of water. You may die of hunger unable to see your place at the table. But you are no more lost than you want to be. And we each need not to define lost by what people around us think of us. to stop trying to be the real you. What would you even suppose that might be? Someday, notice how you change. notice the you that greets whatever shares your home that makes it home for you. Notice the you that eats dinner. Notice how that you differs depending upon which folks you’re meeting. Notice the you that protects itself from the things you don’t understand. Notice the you that sheds its height as bedtime approaches. Notice the you that wakes to pee before you’re done sleeping. You can detect a different you at these and so many other times each day. So which one is the real you? I recommend that you give up the idea of even discovering the real you. Write the old you off. The more you write off all these old yous what’s left is rather precious. It’s not that you will discover the real you, you will discover that there is no real you. You’ll discover that our capacity for me-ness is huge and dynamic. Our identity can continue to grow and grow and grow daily even hourly with the things that we see and discover each day. I ate some snow today. But I bet you did not. and we may not realize how unique they are to us. and then release near the bottom. Who does not feel this weight and warmth? 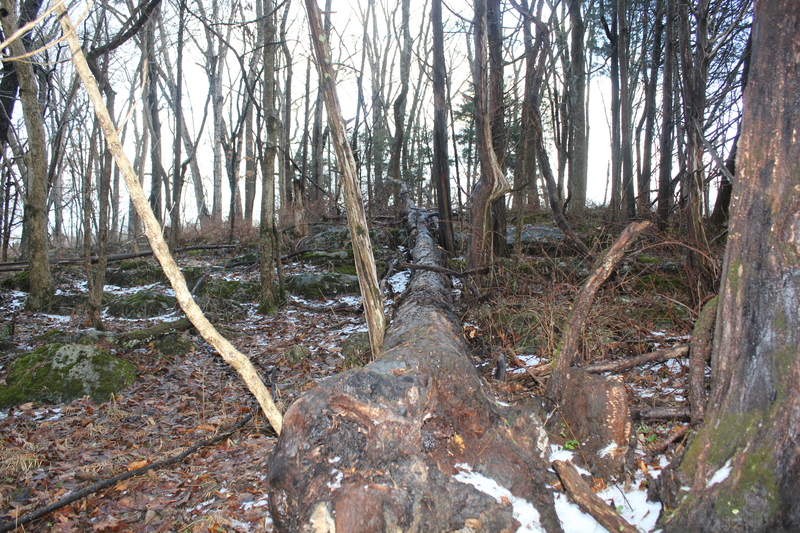 The remarkable yet hollow Tulip Tree has fallen. 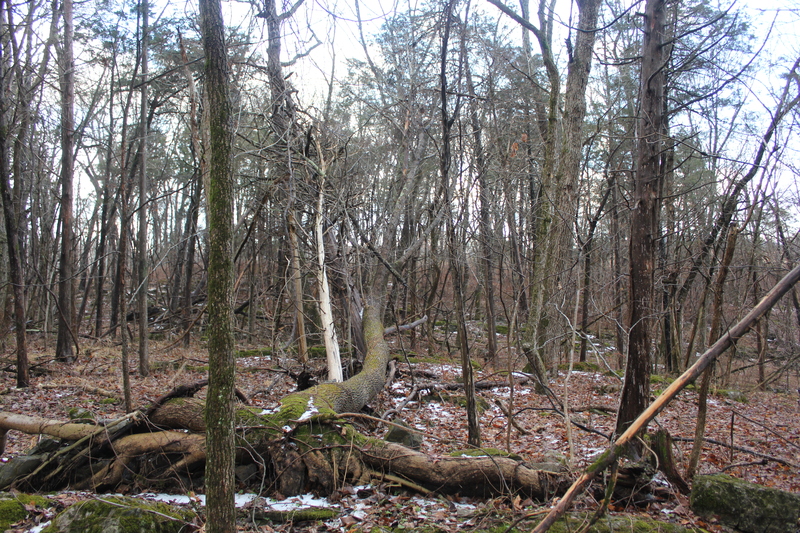 than the American Chestnut that fell many years earlier. The wind and the rocky soil make the trees fall. the fractals of our minds that also fall. and become the soil for new generations. We generally fail to recognize the fractals of our minds. Can’t we all see this? When we don’t it is difficult to converse. What is more disparate than trying to live linearly in a fractal world? I had to unlearn and relearn so much just to see this. Deep, deep joy is here for those who learn to participate fractally. I generally think you are referring to our “experience of ourselves and other things in the classical world”, right? If so, I think you may be regarding some statements as solipsistic assertions that reality arises wholly from our imagination. But that’s not what I think it is. Our senses only assess a tiny fraction of the vibratory spectrum we might call ‘objective reality’. If we want to understand what we sense or discover more than we can directly sense, we employ the pattern-recognizing and pattern-making power of imagination. We settle into patterned ‘grooves’ of personal and social functionality and creativity. These become our realities, but I think they would better be called imaginal domains, or memetic vortexes. I don’t concur with the suggestion that imagination is the antithesis of reality. To me they are an integral fabric. Validity or authenticity is recognizing other domains as co-real. leads many to avoid any. To little attracts the wrong kinds later. It is good to attract formative and positive stresses. They become a healthy delight. They make it easy to avoid useless, negative stresses. into a positive and uniquely formed person. The woods are full of laughter. I’m where the limbs are fallen. as is often our privilege. Some are flat on the ground. Some are leaning on the living. Some are standing tall, dead, bark-less. which hold up all of them, yet. sometimes dissolving before ever reaching clarity. even more so that perceivers should arise. that they are missed altogether. surely all the bits and pieces would lose coherence and float apart. Perhaps patient observation is the central characteristic. Some say it is love. where birds have flown above.